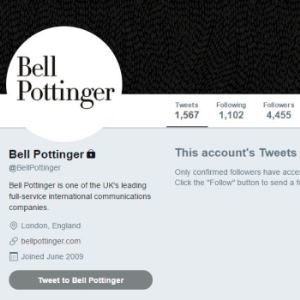 Cape Town – Former Bell Pottinger partners Victoria Geoghegan and Nick Lambert have reportedly sought legal advice regarding their exit from the public relations firm. Geoghegan and Lambert, who worked on the Gupta-owned Oakbay account, were forced out of the firm in July after an initial review by law firm Herbert Smith Freehills revealed evidence that “dismayed” former CEO James Henderson. “We have already been shown interim evidence which has dismayed us,” Henderson said in the July press statement. “Much of what has been alleged about our work is, we believe, not true – but enough of it is to be of deep concern. Since then, Henderson has fallen on his own sword, after the Public Relations and Communications Association expelled the firm and the House of Lords called their conduct “completely unacceptable”. UK-based The Times said administrators could be appointed as early as Monday, as clients and top staff continued their exodus from the firm. British tech firm mporium told Business Day on Monday it cut ties with the PR firm, while Imperial Brands said it was reviewing its relationship with the firm. The Asian unit of Bell Pottinger said on Sunday it was breaking away from its London mothership. Bell Pottinger Middle East (BPME) said in a statement: "BPME has been at pains to point out that at no point were its #UAE directors ever involved in the winning or servicing of the Oakbay account in #SouthAfrica which has led to the sad demise of the UK business. Indeed, BPME's #UAE directors actually rejected the opportunity to work on the account. This reinforces BPME's ability and intention to continue to trade under its own banner as a separate entity." So, while the London firm seems to be edging towards demise, the two partners who worked on the Gupta campaign have reportedly sought legal advice regarding their exit. The UK-based Evening Standard newspaper reported that they had approached the firm that represented Princess Diana during her divorce in 1995. While Lambert and Geoghegan confirmed to the Standard that that they were considering their legal options, Geoghegan told the paper: “I haven’t decided what action I’m taking yet”. “Geoghegan, who is eight months pregnant, has come in for particular abuse from online trolls and been described as the ‘face of evil’ in some media outlets,” the paper said. The Standard also reported that 30 former Bell Pottinger partners face huge tax liabilities, after being paid net of tax. The amounts range from between to £25 000 (R427 000) to as much as £100 000 (R1.7 million), it said. Fin24 has sent Bell Pottinger queries on the matter and will provide any update once received.